Michael Hiltzik, a Pulitzer-prize winning columnist with the Los Angeles Times and author of ‘Colossus: Hoover Dam and the Making of the American Century,’ will be speaking about the Depression-era dam project that made the desert bloom and Colorado River delta die. Date: tomorrow (August 17th) at the Huntington Library, Art Collections, and Botanical Garden. Time: 7.30pm. Admission: Free. Click here for details. Hiltzik’s book, which was published last summer, is not a water book per se, though the sheer weight of water involved caused earthquakes in the Mojave. It’s not even a desert book. It’s a painstaking history of the politics that led to the dam being built, the heroics and tragedies in the construction, and how the West was won, or ruined, depending on your view point. 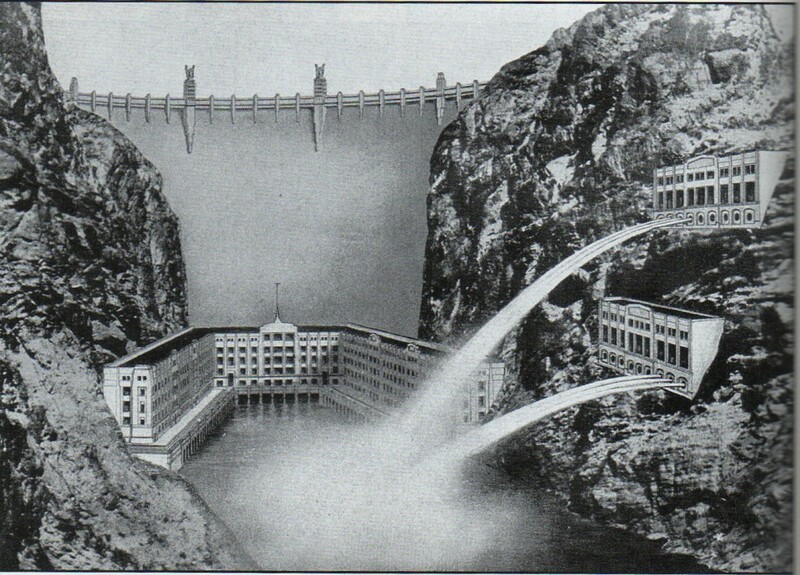 The picture, above, from the book, captures a failed early schematic for the dam. For an earlier review of this very fine book, click here.